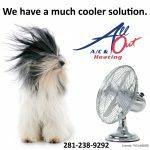 All Out A/C & Heating specializes in Katy HVAC repair and installation. When your existing system is giving you problems, our team has the knowledge and experience to get it up and running. However, if it is time to install a new heating system, we offer multiple brands and models that will fit your specific HVAC needs and budget. 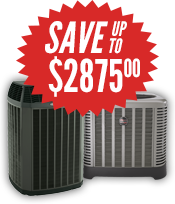 You want a system that is energy efficient and keeps your home at a comfortable temperature when the Houston area temperatures turn cool and we will recommend the best unit for your home. Having an efficient furnace will save you a great deal of money on your monthly utility bills. Many customers battle with the decision to repair an existing heating unit or replace it with an updated version. Heaters installed before 1992 are considered obsolete. They waste energy and are not economically sound. These models do not deliver dependable heat and harm the environment by releasing over four tons of greenhouse gases into the atmosphere each year. Upgrading to a new eco-friendly system will keep your home at a regulated temperature and put money in your pocket. When you are in the market for a new furnace, a Katy air conditioning repair technician will assess your individual needs and recommend a unit that will be the best choice for your home. It is essential to purchase the correctly sized heater. A system that is too large will waste energy as it frequently cycles on and off. Also, a furnace that is too small will not efficiently warm the home when the outside temperatures drop. It is also important to consider efficiency ratings. “Annual Fuel Utilization Efficiency” ratings estimate the yearly operating costs for furnaces. These ratings are displayed on each unit so that a consumer can make an educated purchasing decision. A high rating indicates a more energy efficient system. It is important not to base your purchase solely on a unit’s efficiency. 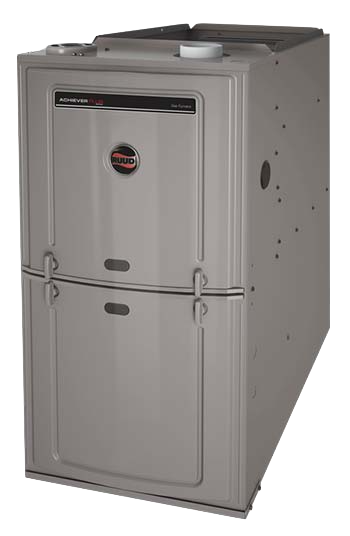 An electric furnace may have an extremely high AFUE, so it may seem like an attractive choice. However, because it runs on electricity, it is a much more expensive unit to run than gas. This means an electric furnace is not the most economical option for your home. When relying on electricity, a better heating alternative is a heat pump. At All Out A/C & Heating, we are available 24/7 to answer all your questions about your HVAC needs. When problems arise, we will arrive quickly to repair or replace your unit. Our service team will help you choose then install a dependable heating system that will supply years of comfort to your living environment. To schedule an appointment, call us at 281-238-9292.